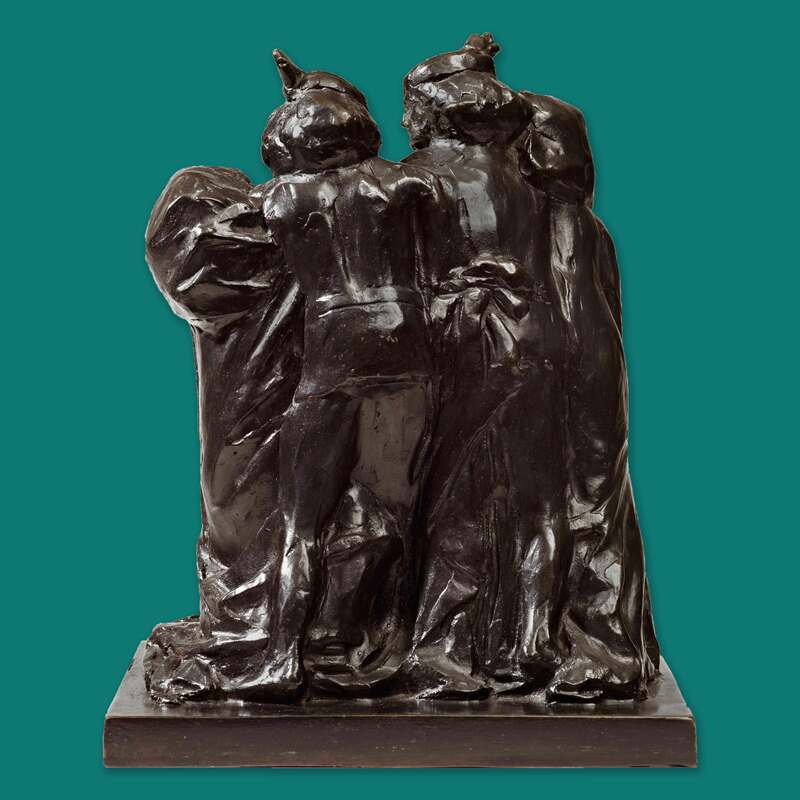 One of only a handful of sculptures that Sargent ever produced, the charming group How They Met Themselves was inspired by D.G.Rossetti’s work of the same title. Rossetti produced a pen and ink drawing of this subject for G.P.Boyce and produced at least two watercolour replicas of it in the 1860’s. The pen and ink and one of the replicas are today in the Fitzwilliam Museum in Cambridge. The subject is that of a pair of medieval lovers meeting their spirits or doppelgangers in a wood. Meeting an image of yourself was said to be a foreshadowing of the future, and it is this notion that rather fascinated Rossetti - as it did those interested in the world of the supernatural in Victorian times. One of America’s most celebrated artists of all time, Sargent made his name in the field of society portraiture, initially in France, and then famously in England and America. 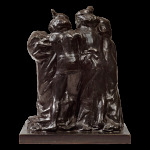 He came later to sculpture and began his first experiments in that medium in the late 1890’s. How They Met Themselves was produced by him sometime after 1900. Sargent follows the Rossetti group faithfully from the front, but interestingly composes his own original ideas for the reverse of the work. He was a lifelong admirer of Rossetti and an engraving of Rossetti’s Arthur and Guinevere is known to have hung in his studio. But he also owned a print of Rossetti’s How They Met Themselves, whose compositional elements he much admired. He is recorded as saying of it : “That is the difficult thing to do. 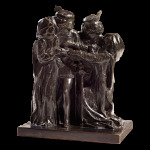 Anyone can paint, but to design a group so that it will....well, do in sculpture....that's what counts. 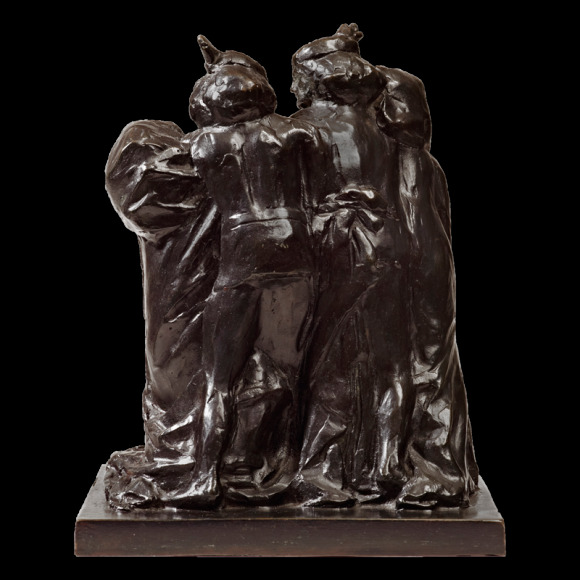 Rossetti could do it.” Sargent was not a mainstream sculptor, but this striking and unusual little group is a testament to his considerable abilities in the field. 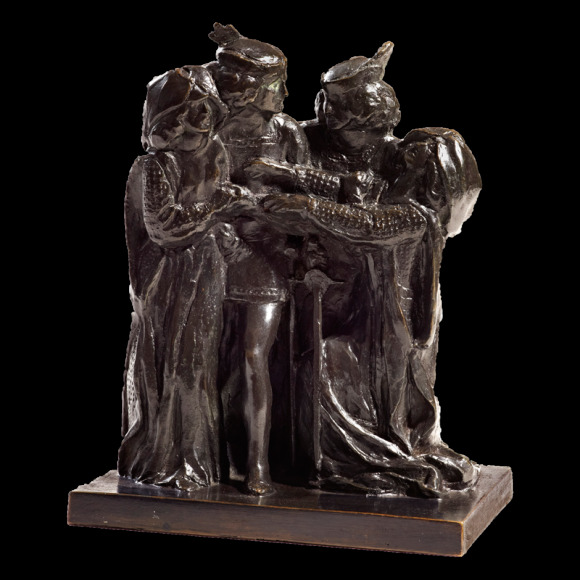 This bronze cast has been dated to the first years of the 20th century by the London sculpture expert and restorer, Imogen Paine. 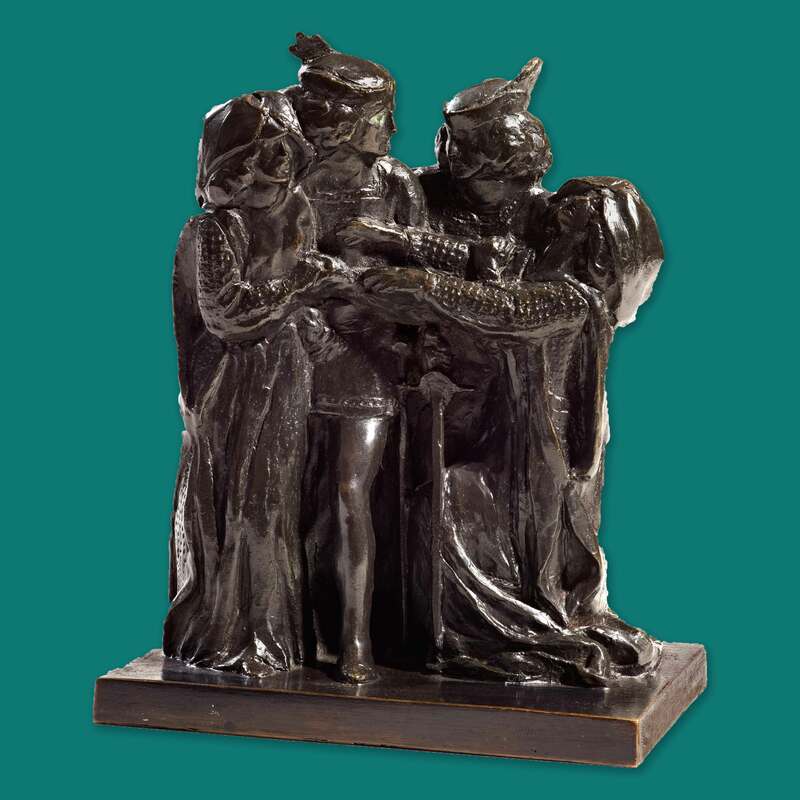 The sculpture, unmounted until recently, but having original drill-holes for a base, has been recently mounted on a fine piece of Levanto rosso marble and stands 12.75 inches (32cms) high altogether.